Another interesting skin SlimPro for MCPE 0.15.9, 0.15.7, 0.15.6, 0.15.4, which can be safely applied. It is not suitable for masking on MCPE 0.15.8, because your suit will have bright purple inserts. The suit itself is black and gray. Convenient and unmarked. Your character’s eyes will be different: purple and red. In general, the entire right side will be slightly purple. 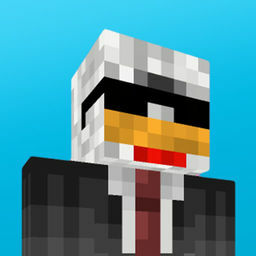 Skin SlimPro for Minecraft PE 0.15.9, 0.15.7, 0.15.6, 0.15.4 will invigorate you. He is not for fighting, but rather for entertainment. But sometimes it is needed. install it with blocklauncher.